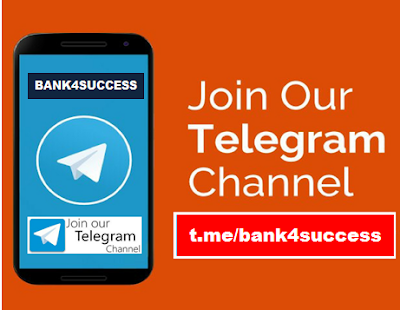 Tricks to Solve Conditional Statement Based Sentence Improvement Questions In Bank, SSC, Railway and Other Competitive Exam. Conditional Statement Based Sentence Improvement Questions are commonly asked in all the Competitive Exam. Here in this Article we sharing some Tricks using which you can easily find error in sentence without reading sentence again and again. CONDITIONAL SENTENCES :- Following is the brief explanation of conditional sentences for beginners. ◆ If you ask me, I will tell you. When we have a condition upon which the main thing depends, then we use conditional sentences. 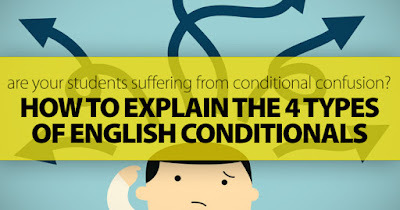 In a conditional sentence, there is one condition with "if" and one main part. When the condition is true, then the main part becomes true. 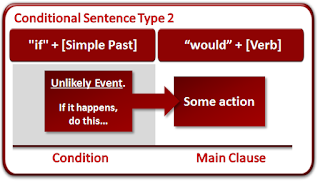 This is the introduction to conditional sentences. ★If you help me, I will thank you. ★If I went to Lahore, I would buy something special for you. Now, let's learn its types. 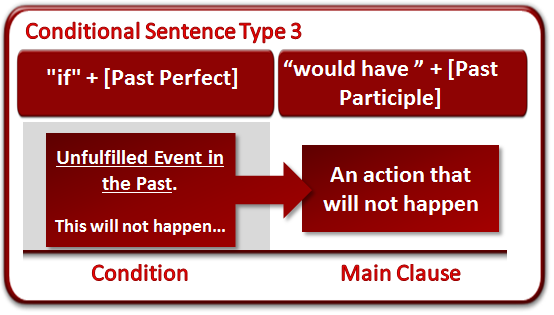 Conditional sentences are of four types. If we heat the water to 100 degrees, it boils. Zero conditionals are used when we say "agar aisa hota hai toh fir aisa hota hai"
Ex:- Earth moved around the Sun. 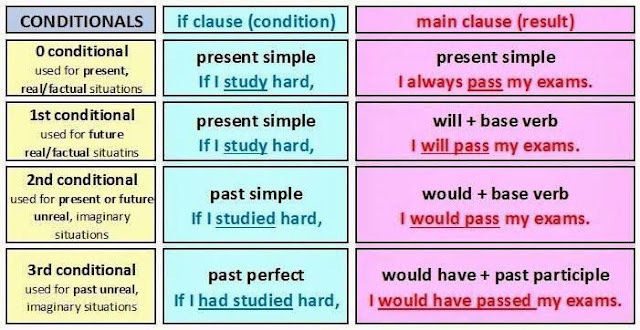 Here if-clause is in simple present tense and main-clause is also in simple present tense. If I fall from the top of that building, I die. 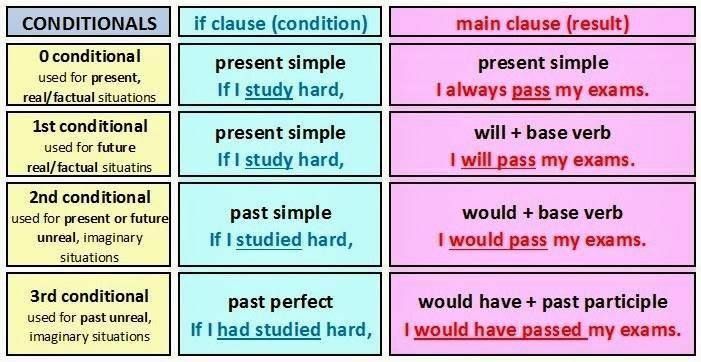 Use present tense in both the clauses. The two clauses are separated by a comma. If + simple present tense, then + simple future tense. If I miss the bus, I will go by train. Here the certainty is not 100% as before. 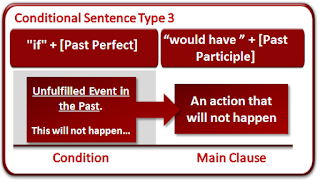 It is likely that if the condition is fulfilled, then the main clause will become true. If you slap him, he will slap you back. 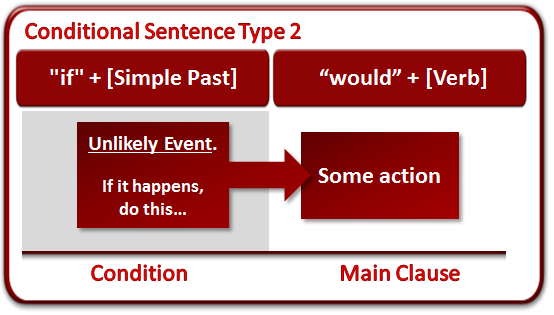 Second conditional is used when the possibility is very less. 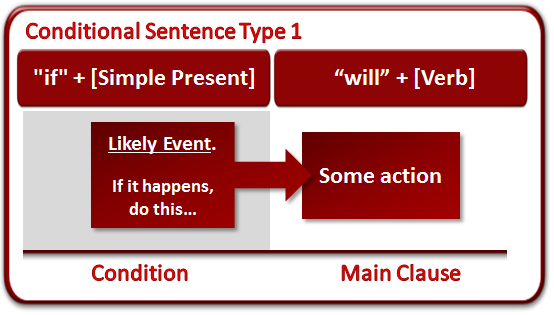 When it is very unlikely that if the condition is fulfilled, the main clause will become true. If + past tense, then (would). If I went to Himalayas, I would meet him there. If I became the prime minister of India, I would curb the corruption. If I were at her home, I would talk to her. Notice that I used "were" with "I". This is used for talking about an action in the past that you didn't do. If I had taken the power bank with me, I would have charged my phone on bus. 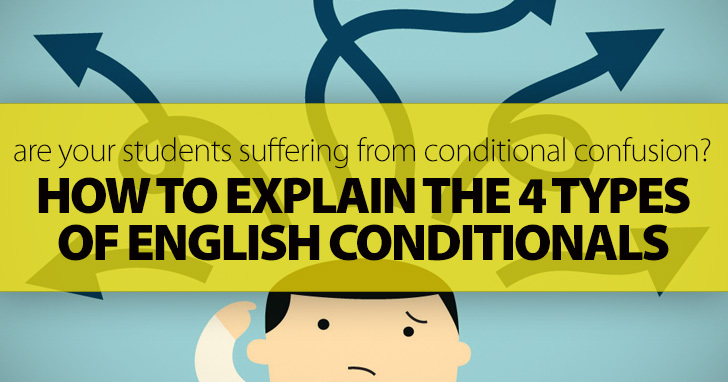 If I had revised conditional sentences, I would not have forgotten them. If I had spoken the truth, I would not have to face these difficulties. ◆ Agar maine tumhe paise na diye hote, tab tum kya krte? ◆If I hadn't given money to you, then what would have you done? ◆If it had rained, then you would have got wet. ◆If this phone had been cheap, then I would have purchased it.